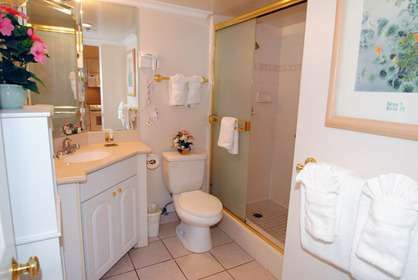 WaikikiBeachRentals.com - Great Views! Privacy Wall - Sofa Bed !! Great Views! Privacy Wall - Sofa Bed !! 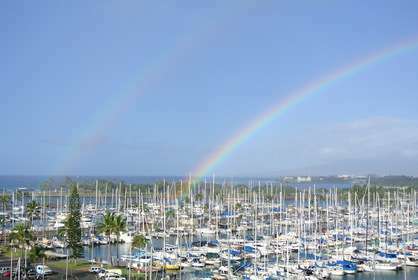 This great condo is on the most desirable ocean marina side with great marina, ocean, sunset views from your 120sf lanai. 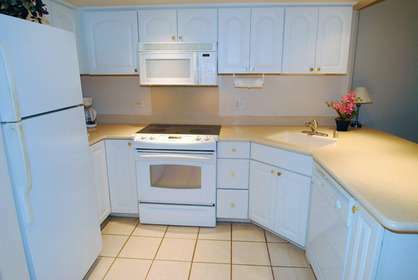 The unit has a full kitchen with fridge, oven, stove, microwave, dishwasher, rice cooker, blender and all the cooking items necessary to prepare your meals. The living area has a queen size sofa, flat screen cable TV, AC, dining table for your meals or card games and did we mention views galore. Recent Additions and Improvements (January 2017): Upgraded TV to a Sony Ultra High Definition 49 inch flatscreen. Replaced TV cabinet. Added Sony sound bar with 300 watt stereo and Bluetooth capability. Added high definition DVR, many high-definition channels, HBO, Showtime, Starz and “On-Demand” movie channels. This new equipment will allow you to listen to your Bluetooth devices with quality stereo sound and give you the ability to record movies, sports events, and your favorite programs while you away from the unit for viewing at a later time. The unit has a queen bed, full closets, full bathroom, no carpet, all tile and new wood floors that makes keeping the unit clean a snap. 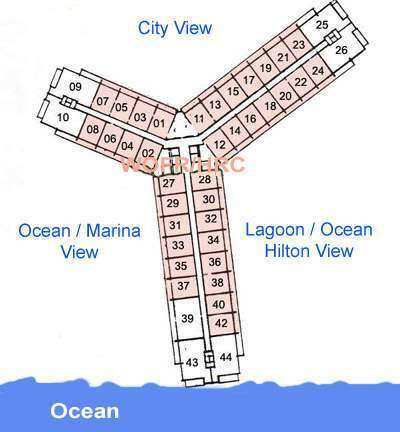 The Ilikai is conveniently located within easy walking distance of the Ala Moana shopping center mall [which features the Foodland grocery store], Ala Moana Beach Park, the Hawaii Convention Center and the many hotels, restaurants and shops of central Waikiki. The Ilikai is literally steps from the beach and includes a pool, bellman and valet service and restaurant on the foyer overlooking the marina. 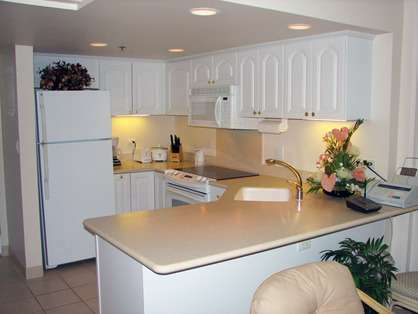 Don't miss out on this great condo and book now! Ilikai 835 - We stayed in this condo in June 2017 and found it just as beautiful as the pictures, apart from the view....this was even more beautiful. 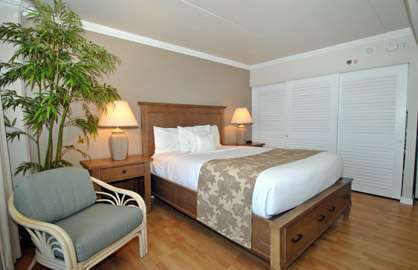 Waking up with the amazing view of the ocean, marina and beaches from the bed was incredible. The condo had everything we wanted. We chose it because it had both a king size bed and a double sofa bed, an accordion partition that could be used to separate the bedroom from the sofa- TV -kitchen area and a dishwasher. It was very clean, and the white theme looked very fresh and beachy. The location in the Ilikai Hotel was amazing as well. Just steps to see the Friday Hawaiian Hilton fireworks and surf lessons. A 10 minute walk down the road leads to the Ala Moana mall and Foodland grocery store. The mini-mart/ gift shop in the hotel lobby has just about anything you could want, without making the trip to a full sized grocery store. The kitchen was well supplied with everything needed for cooking, from stove top, oven to microwave, toaster, electric kettle, blender, and George Foreman grill, along with all the pots & pans, crockery and cutlery necessary. We were lucky to get an early check in for $35 and a free late check out until 8pm. Both pools were nice for a dip, but it is just steps from the Hawaiian Hilton lagoon and the beach. All in all we would stay here again if we have the chance. Ilikai 835 - We enjoyed this condo very much during our stay in March 2017. 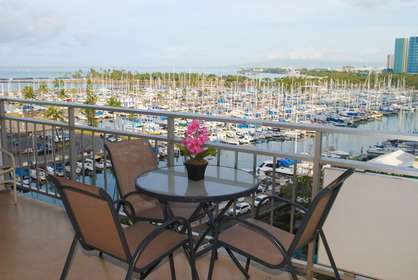 The unit is located on harbor side of the Ilikai and offers beautiful sunsets and a quiet location. Kitchen was well equipped and bed was very comfortable. We have booked it again for March next year. Ilikai 835 - Neat place, very clean. Nice view on harbor. Very enjoyable! Ilikai 835 - Incredible view in an old-school Hawaiian condo. 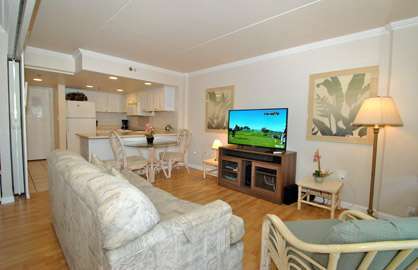 Good space for two people, no resort fees and reasonable parking across the street. Nice restaurant downstairs with live musicians some nights and hula dancers on Friday night.